Who else can feel the pain of death more than Gandhi family and Congress Party that has seen three untimely and gruesome tragedies starting from Sanjay Gandhi, Indira Gandhi and then Rajiv Gandhi who were snatched away by the cruel hands of destiny. And it is indeed quite surprising in that background Congress Party’s chief minister in Karnataka is trying to play petty politics by not handing over the case of death of DK Ravi under suspicious conditions, to the CBI. 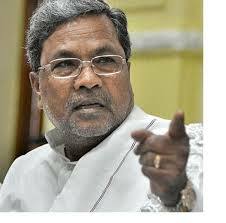 Whenever, unfortunate and bizarre tragedies have struck Gandhi family or the Congress Party, entire nation has stood behind them and it is now time for them to instruct this arrogant chief minister of Karnataka to hand over, this honest and daring officers suspected murder case to the CBI for a fair and timely trial. Well, if you have not seen switch on your TV set and see how Ravi’s mother is pleading for justice, where Congress party is only playing petty politics. It is about time for Sonia Gandhi, Rahul Gandhi or even other stalwarts of Congress to intervene.